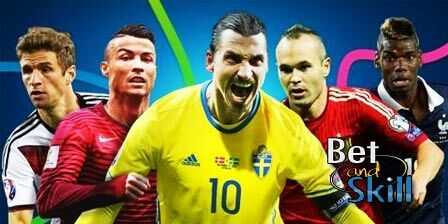 Friday 10th June will see the start of Euro 2016 and here you can find here our betting preview on the Outright Winner market. 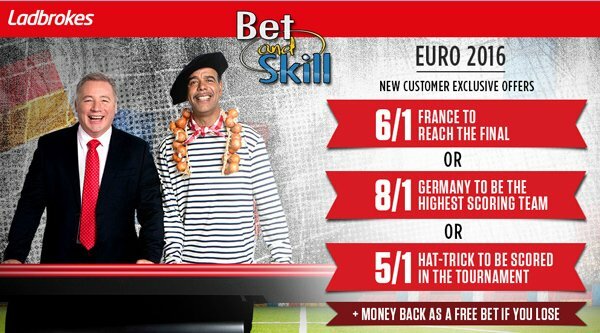 Who will win the Euros? 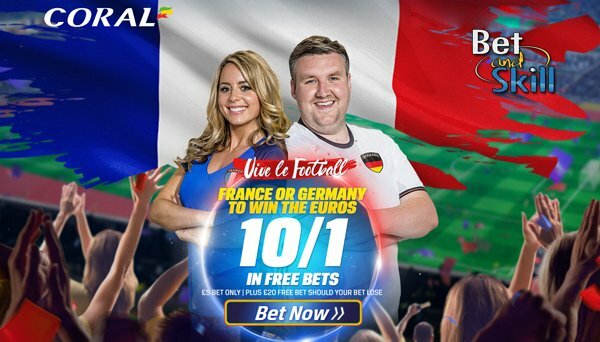 Read our betting tips, predictions (Winner, Finalists, Semi-Finalists and many more), enhanced odds, promotions and no deposit free bets on France 2016! France have a great record when hosting tournaments, having won the European Championships in 1984 and the World Cup in 1998, and are rightly favourites to win another tournament on home soil. Les Blues have not played a competitive game of football in almost two years since exiting the Brazil World Cup at the quarter-final stage against Germany. Didier Deschamps' men have won 14 and lost just four of 20 matches. Germany are second favourites to win the competition but Die Mannschaft have struggled in their friendlies since winning the World Cup. Furthermore, they lost to Ireland and Poland during their qualifying campaign. Anyway, they still have the same coach, Joachim Low, in charge and their team is largely the same, including players like Thomas Muller, Manuel Neuer, Jerome Boateng, Toni Kroos, Sami Khedira and Bastian Schweinsteiger who are fully versed in winning the biggest competitions. Spain will look to win the Euro Cup for the third time in a row. After their early exit from World Cup 2014 in Brazil, they were near perfect in qualification with nine wins in 10 games and only three goals conceded. Their only loss a 2-1 defeat to Slovakia away. Del Bosque's men lost 0-1 their last friendly to minnows Georgia. They have a solid defense and a talented midfield but their forwards only have 4 international goals in 19 games between them. THe Red Fury are exiting a golden era and, whilst still a formidable force, lack the fluidity and talent of five years ago. England won every game in qualifying, admittedly it was not against great opposition. Anyway, the Three Lions have also done it against the big teams in friendlies beating France 2-0 and a stunning comeback to beat Germany 3-2. The draw is also favourable for England. Harry Kane and Jamie Vardy scored 25 and 24 Premier League goals respectively and can both cause defences problems. However, Roy Hodgson is yet to find a system that gets the best out of the two that also includes Wayne Rooney and this uncertainty is a negative. Belgium are in a very tough group, alongside Italy, Sweden and a tough-looking Republic of Ireland. They are without Vincent Kompany and their “Golden Generation” has failed to click as a collective thus far. Most of their stars are still young. Italy qualified with relative ease, with 7 wins and 3 draws and a 4 points margin over Croatia. The Azzurri were soundly beaten by Germany and Belgium in International Friendlies. Their squad is defensively very solid, but going forward they are not as impressive and could struggle for goals. With no Andrea Pirlo and Marco Verratti in their team, Italy could lack in creativity. Portugal posted a W7 D0 L1 record in their qualification group - arguably the weakest one with Albania, Denmark, Serbia and Armenia - but actually they struggled. They scored just the eleven goals in the process and four of their seven wins in qualification were by a 1-0 scoreline. It's fair to say that Portugal look to have been fairly lucky with the draw here as they are heavy favourites to win Group F. Cristiano Ronaldo is still their star man but they also have a new generation of youngsters such as Joao Mario, Andre Gomes and Renato Sanches, Anyway, this tournament may be one too soon for them. Croatia represent good value, with a skilful midfield including Mateo Kovacic, Luka Modric and Ivan Rakitic supporting the powerful Mario Mandzukic up front. They don't have an easy group but we expect them to have a quite long summer. Poland have a fearsome attack in the form of Robert Lewandowski and Arkadiusz Milik. They are drawn in Group C with Germany, a team they already beat during their qualifying campaign. The 3-1 loss in the re-match against the current World Champions was their only defeat in the last two years. Austria could be the dark horses after a brilliant qualifying campaign and have superstars in the making David Alaba and Marko Arnautovic, plus an excellent manager in Marcel Koller. 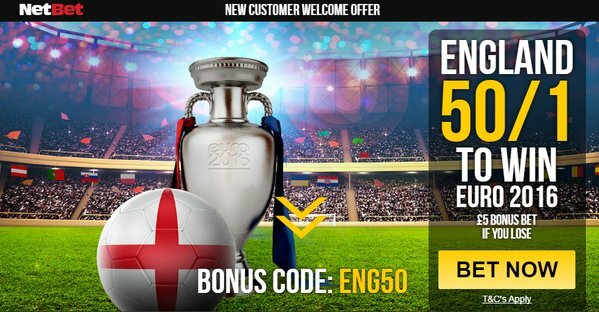 "Euro 2016 Outright Tips, Predictions, Betting Odds and Free Bets"